Mindshare has been appointed as Treatwell’s group media partner across all markets, following a competitive pitch. The win comes less than a year after Grow@Mindshare was appointed to handle Treatwell’s largest ever TV and VoD campaign in the UK in May 2018. 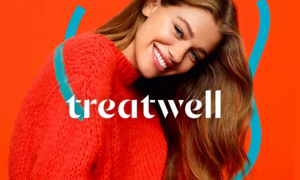 The pitch was called by Treatwell in January, as the brand looked to consolidate both AV and Out-of-Home (OOH) media buying. As a result of the win, Grow@Mindshare – Mindshare UK’s specialist start-up division – will take on the challenge of developing the OOH and AV strategy with Treatwell. The expanded remit across all markets will see Mindshare provide extended media strategy support, as it prepares to activate a new and ambitious growth plan for the start-up and develop new strategies to deliver disruptive media ideas aligned to the brand.